This is an academic and practical program that is open to divers and non-divers alike. At Endless Oceans Gozo we offer the full spectrum Nitrox and Trimix Blender courses as a single package. We understand that many divers, although maybe not certified to use the gasses, appreciate receiving the full course. 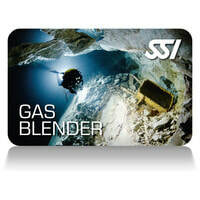 For Instructors and Guides working in many places around the world a full Gas Blender "ticket" is a bonus. This course is given by an experienced Gas Blender and teaches the mathematics, physics and techniques required to safely blend breathing gases; you will earn the SSI XR Gas Blender certification.